Anticipation… Expectations… Personal opinions and the Ak-Baital Pass. 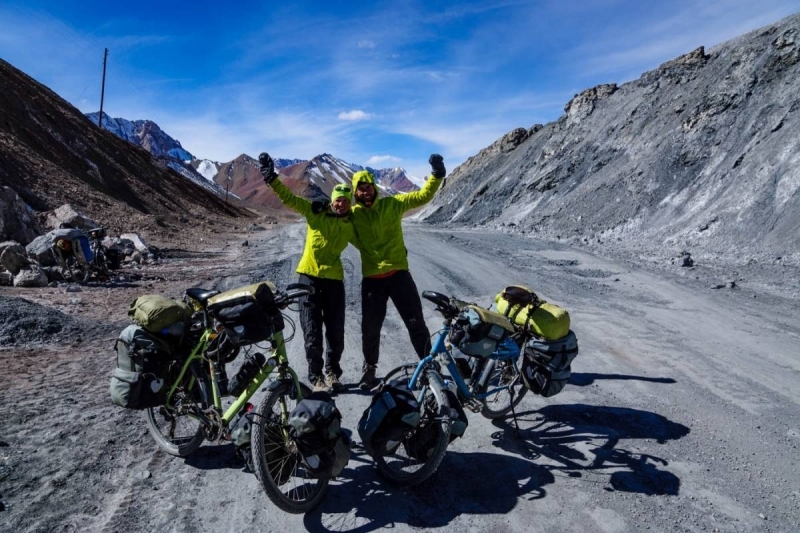 Cycling the The Pamir Highway M41 is not only about having the legs but definitely the stamina, the motivation and the persistence. 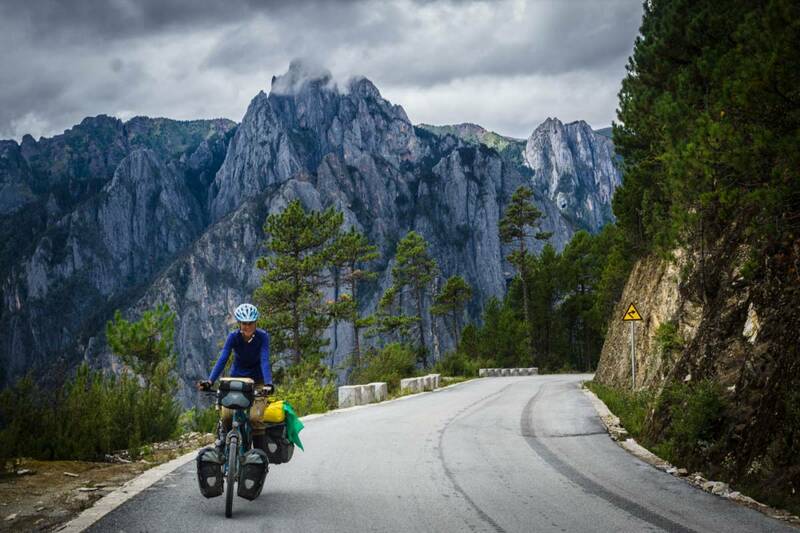 Altitude sickness, bad roads, good and bad stories of other cyclists and illness are all a part of it. It has been a mind blowing, interesting cultural and physical experience for us. All photos from cycling the pamir highway can be seen here: Murgab and Ak-Baital pass, Karakul and surroundings, Tajik border and Kyzyl Art pass, To Sary-Tash and relaxing in Osh. Murgab was were we decided to take a rest for a day before setting out high in the mountains on The Pamir highway M41. The day we arrived to Murgab Anne and Nico from Trikeiteasy were there. They had made it from Khorog following the M41 in 4 days so we had a small reunion of cycling the pamir highway. After a hot shower at the Pamir hotel we all had a nice dinner and Martin and Nico even enjoyed a beer. On our rest day in Murgab we went to the Murgab house which is a initiative from the “ACTED” foundation to set up a community tourism project “Murgab Ecotourism Association (META)”, which seams good only we never got to experience this as the House was closed all the days we were in Murgab. In Murgab you find a distinctive bazaar which is all made of old shipping containers or metal sheds. This bazaar had most of what we were looking for (and a lot of out of date Mars and Snickers bars, dated 2012) and we enjoyed walking around in this perfect setting for a town as Murgab. In the evening we met up with the group of 5, Marianne, Jules, David, Holly and Bertrand, who were also staying at the Pamir hotel. We shared stories of the road from Langar to Murgab and had dinner together. The road to the Ak-Baital pass at 4655m was the next big pass on the Pamir highway and the highest of them. We set of in the morning after enjoying the breakfast at the hotel which was great, especially the raspberry jam was great. The weather was perfect only a slight wind and a high sun. We wanted to get to the bottom of the Ak-Baital Pass and most of the road was just sloping up easy. Susanne was not feeling too well and especially at the end of the day her stomach and back started hurting a lot. Just before sunset we found a dug out section next to the road to set up camp out of the wind. Before we knew it the temperature dropped from 6 to 2 degrees and while we were eating it dropped to minus 3. This was going to be a cold night. The next morning it was difficult to wake up and we checked our GPS for the temperature. It had been minus 14 during the night, luckily our very nice Katabatic sleeping bags kept us nice and warm and we had thought about keeping the water filter and some water in the tent so it was unfrozen. By now it was minus 10 and Martin went out to make breakfast and slowly we started to get more active. It was only at 10 that we were setting off, the sun had warmed everything up a bit and we were heading for the pass. The Ak-Baital Pass was steep and cold. Martin cycled up quite easily and Susanne was pushing her bicycle up most of the way. By the time we made it to the top we were both breathing heavily because of the altitude. We had made it to the highest point of the roof of the world at 4655 meters. By the time we were up at the Ak-Baital Pass we saw other cyclists down below. We decided to wait and see who they were. First Marianne and Jules mad it to the top. Then we saw David coming. Martin went down to help Holly push the bike up and finally Bertrand made it to the top being filmed by Jules. We were all very happy and spent some time cheering and making photos. We were looking forward to the descent and had layered up multiple layers of clothes. What we didn’t know was that the road on the other side of the Ak-Baital Pass was of worse quality than the road coming up. We heard from one of the others that there would be 30 km of gravel road. So the going was really slow. We had set our mind to reaching Karakul this day. But it wasn’t looking like we would be able to make it, still having 50 km to go after lunchtime. Once we reached the tarmac we decided all seven of us to push on so we would make it to Karakul. We kept each other out of the wind and finally we saw the small town of Karakul appear in the distance. Luckily the road was easy and we had made it. The home stay Sadat was nice and warm and we could warm up our very cold hands with some nice tea and a big dinner. Five of us decided to take a rest day while two others rode off the next day. We had a nice day drinking tea, having good conversations and going out for a small walk to the local shop and along the lake. It is really nice with likeminded people around and when the conversation goes a little bit deeper than only about travel plans and bicycle gear. We were ready for our last leg of cycling the pamir highway and almost feeling sentimental that it was almost over. 30 days in Tajikistan for us was not enough. Because of the difficult roads and the fact that almost everybody, including us, gets ill makes that the 45 day visa is a better option. Looking back we should have gone for that option just to give us a little bit extra time. 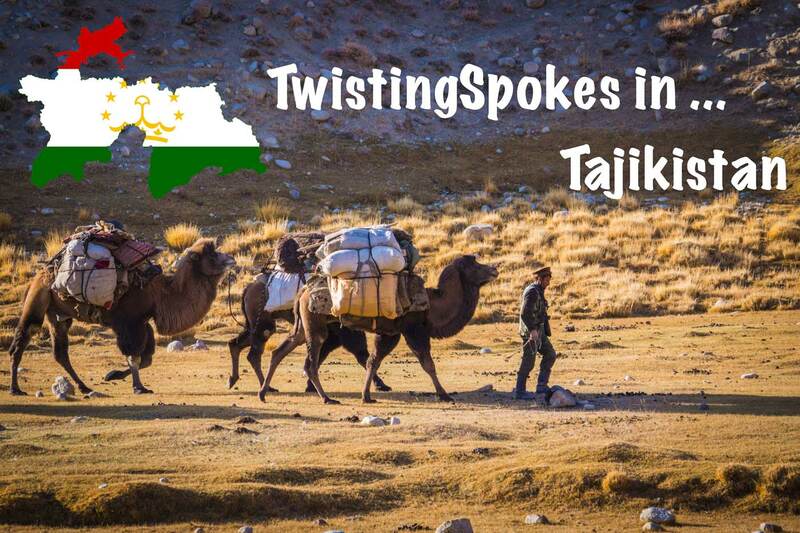 Now we had 1 day left to make it to the Tajik border, not too far away but still a bit nervous if we would be able to make it with two mountain passes in between. We set off from Karakul in time and the going was quite smooth up the first pass. Martin and Bertrand found a Marco Polo sheepshead to have a photoshoot with. Marianne and Susanne were struggling a little bit but all five of us got up to the first pass. Heading further towards the Tajik border the road all of a sudden turned into sandy washboard again. We thought that we had done with this by now! But apparently not. The Pamir highway was giving us one final treat. The wind was picking up, it was getting cold and we were pushing up the mountain again. Mariannes shoulders by now were hurting so much that Jules, Bertrand and Martin were pushing her bike up in turns and taking turns helping Susanne push her bike up. A big team effort! We finally came around the corner and were hoping to get a tailwind for only a short while when suddenly the Tajik border post loomed in the distance. We made it! We asked them if this really was the border post and they confirmed. We passed our passports over, got offered some tea and waited for 45 minutes in the cold while having funny conversations with some other military guys. Then our names were called out one by one and we could pick up our passports with exit stamp. Susanne’s visa was valid until the 14th and the stamp was on the 14th so good planning 🙂 (somehow Martin had received an extra day on his visa and nobody knows why…). We had read blogposts of other people camping at the border so we asked if we could stay. Going on would have meant another 200 height meters before heading down over the pass and we were a little bit done for the day and the wind would be less the next day. We camped in a very cold concrete skeleton building in our tents and made tea and a nice dinner. The next day it didn’t take long before we were over the pass and on our way down over a very icy downhill. It hadn’t been that long since the road had been covered with snow and some patches were still there. Looking back over our shoulder we had the most amazing views of snowy mountains and Peak Lenin in the distance. It was very pretty. The Kyrgyz border was not so interesting, the most unfriendly we had until now. Being shouted at when we arrived to stay at the end of the line while usually they want us to come forward first. 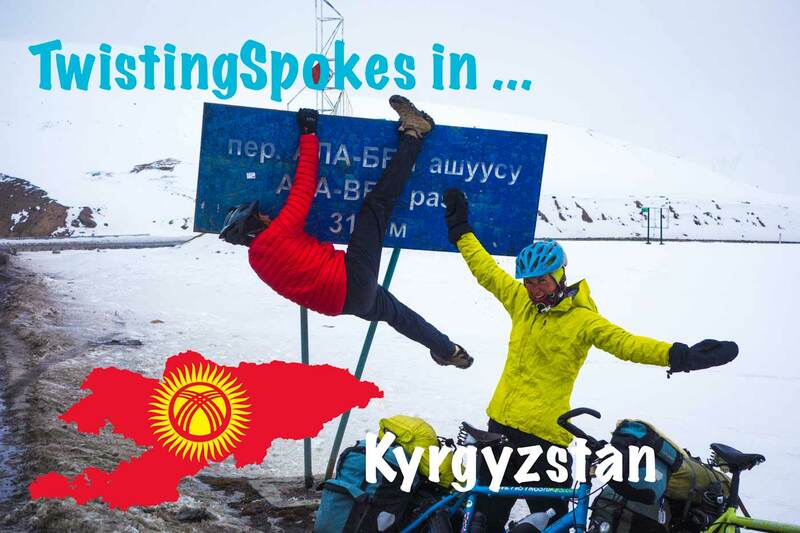 Anyway, after an hour of waiting and snacking it was our turn and we got stamped into Kyrgyzstan! We had befriended a small little dog and when we took off from the border the dog followed us, we went downhill and he couldn’t keep up until we went uphill again and he caught up again. We had some lunch with him laying down in the grass with us and when we took off again he didn’t want to go back. On a downhill section we pushed on, he really couldn’t come with us. We heard him howling in the distance and were sad because he was so sweet. We name him ‘Passport’ because he was the border dog. We finally cycled the last stretch down to Sary Tash, and easy downhill and then flat part all the way into the town. We stayed at Eliza B&B who although it sounded promising was not really a nice place to stay. It felt we were not welcome, the place was cold and there was not enough food for five hungry cyclists. Susanne got sick so was not feeling too well the next day but we needed to go. The altitude, cold and illness were not helping and we needed to find a better place to eat a lot of food and get better. We had our eyes fixed on Osh. The next day Marianne and Jules headed off to China, the 3 of us started cycling to Osh. The first ascent Susanne took a truck up, not knowing that after a short dip there would be another pass. She cycled up this one having regular breaks next to the road for toilet visits, which was not so nice. Then the road just went down. The valley was beautiful and we saw many, many horses. It was amazing to see them all walking loose in the fields. The experience felt a lot warmer than before. You could see that people were a little bit more comfortable living here than what we have seen before. We made it to a small village Askaly as the river was getting smaller and we were cycling in a sort canyon. Here we asked to camp in a field next to the river. Martin and Bertrand went looking for water and came back with an invitation for tea. Susanne was staying in the tent because she was still recovering. The next morning we went back to the family to return the thermos we had received the night before with tea, together with apples and kefir. We were invited for a second breakfast with tea, bread, kefir, jam and a vegetable salad. So sweet and welcoming. The oldest man of the house was 80 and his wife was 74. They were living there with four generations and two of their sons were living in Osh. While we were having the breakfast the older woman was peeling potatoes and cutting onions. She asked if we wanted to stay, but we had to leave to get on the road. Bertrand tried to fix one of their children’s bicycles but it didn’t work because the pump wouldn’t fit. We left them with a very warm feeling. What a sweet family! The Pamir adventure has been great. All self-supported, no back up. Just cycling and enjoying each others company, the views, the people, the scarce local food and the silence. What a place! We hope it will stay this way and keep its charm and remoteness, although life for the people is very very tough. Below you see a detailed GPX track including elevation profile of the Pamir highway M41 from Murgab to Osh which you can also download. Hi Martin. From time to time I read your posts and just can tell that your adventure is amazing. Enjoy it. Truly amazing, those photo’s are just unreal! Incredible pictures and stories guys! It must be really nice to be traveling in a group for a change. I’m missing the endless horizons and mountains… keep enjoying your adventure!